The moment I called Videoboutique and spoke to you about my up coming Wedding I knew we would choose your company. 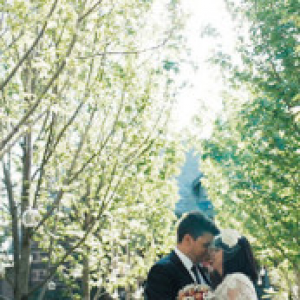 You made me feel at ease and were generally excited when discussing our wedding requirements. I had met with 2 other videographers prior and I didn’t feel the connection but I felt comfortable with you from the start. With the lead up to the wedding, I got a call from Faz who announced that he would be the videographer on the day and how excited he was to be a part of our special day. On the day he didn’t disappoint. My family and friends commented on how friendly and happy he was on the day and I was able to joke with him and you really didn’t notice him around. He was so professional but also fun and easy to talk too. 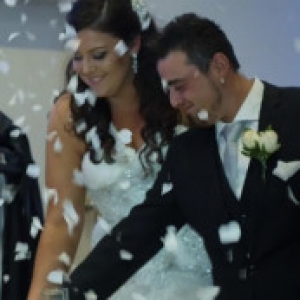 Our wedding was a success and the video that you and the team have put together shows this. Faz captured the love and joy of our special day and we will be forever grateful. Anthony, Charlie and the Videoboutique crew – you guys are simply awesome! I’ve thought about it long and hard, and concluded - there’s simply no bad points, no faults, no improvements, nothing. The work itself speaks volume and for those fortunate to have you guys working your magic on their special day – the results are absolutely amazing. I’ve thought about it long and hard, and concluded – there’s simply no bad points, no faults, no improvements, nothing. The work itself speaks volume and for those fortunate to have you guys working your magic on their special day – the results are absolutely amazing. Anthony – from our first and only initial meeting, that was it! We knew we were set. We cancelled all other meetings with other videographers (true stuff!) – your professionalism, your humour, honesty and personality was fair dinkum and true. 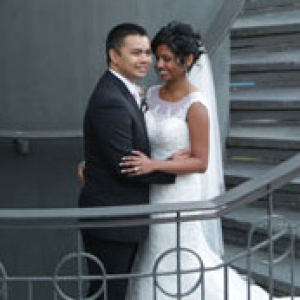 On that stressful day (wedding aka ‘dooms day’) – you made it so enjoyable, so memorable and so easy. You were calm, encouraging, and utmost respectful towards everybody. Absolute champ you are! Hoped you enjoyed your Pho! Charlie and co. the editing of both the highlights and the main video was exceptional. Brilliant work! 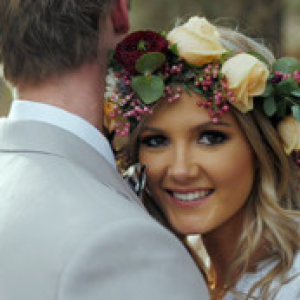 In fact, it was this unique style of personalised videography that captures the essences, the emotions and the celebration of the wedding that caught our attention (from Melanie and Jason’s wedding) that we knew we had to get in contact with Videoboutique. For those soon to get hitched – honestly, give these guys a buzz, a simple “pho”-ne call and see what we’ve seen. The craftsmanship, the professional experience, the humour and the quality far exceeded our expectation. The down-to-earth approach, the support and the friendship made from this experience will certainly be remembered. On behalf of my wifey aka ‘boss-lady’ and myself – sincerely thank-you for all your work! I couldn’t thank you guys enough. It’s definitely something I will treasure close to my heart forever. You were so great on the day, and it was a pleasure having you there to help us capture everything. So many of our guests complimented you and how lovely you were so thank you from the bottom of our hearts. Kim and I would like to give a special thank-you to Anthony and team and Videoboutique. From the word go, you held your professionalism and expertise at the heart of everything you did. Anthony, it was also a pleasure to have you there on our wedding day, you were a great presence the whole way through. Also to the editing team led by Stefan for putting up with all the nit picking – they turned it around in amazing time! Looking back on the video, you captured the day exactly how we wanted to remember it and this is how we get to look back on it forever. For that, we cannot thank you enough. Many thanks to you Anthony and to your team. 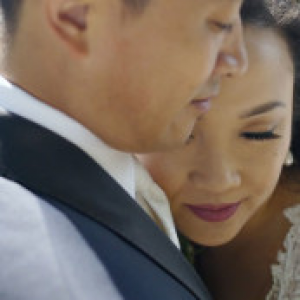 We are absolutely blown away with the wedding videography! Really quite beautiful. You were so kind and friendly on the day and really helped us stay relaxed and be ourselves in front of the camera – thank you again. We wish you and your team all the best. We cannot thank you enough for all your amazing work! 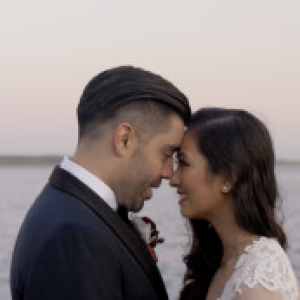 You guys have captured every moment perfectly and every time we press play to watch our wedding video to show our family and friends, we can’t wipe the smile off our faces. A big thank you goes to Ket for capturing all our footage on the day; he was very professional, organized and made the whole day fun! 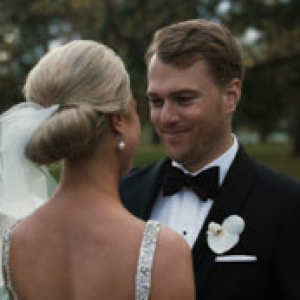 Thank you to Stefan for all the editing and hard work he has put into both the wedding video and highlight movie. The highlight video is incredible and a happy snapshot of the day. We have watched it countless times already! You guys have really gone above and beyond to produce a memorable wedding video that we will cherish for many years to come. Anthony and team, thank you so much for capturing our wedding day so beautifully. You guys were great to deal with all throughout, always responsive and spot on with providing us with the right information. We absolutely love the highlight! Ellena has also been such a pleasure to work with and did an incredible job. You and your team have been so patient with us and so refreshingly flexible to ensure that the final package was tailored to our needs. We have been so happy with Videoboutique and the exceptional service you and you team have provided. You went above and beyond to make things effortless for us and ensured that the filming of our special day was smooth and stress free. We have already recommended you to our friends and believe that Sam and Irene have locked you guys in!